As you can see, I also haven't been reading much. This is the most pitiful monthly reading wrap-up I've ever had to write, because I only read one book this month! And technically I haven't even finished that one (I still have a third of it left), but I'm determined to finish it before October 1st. I figured that I might as well go ahead and write this post, even though it's a few days early, because I'm obviously not going to read any more books this month. 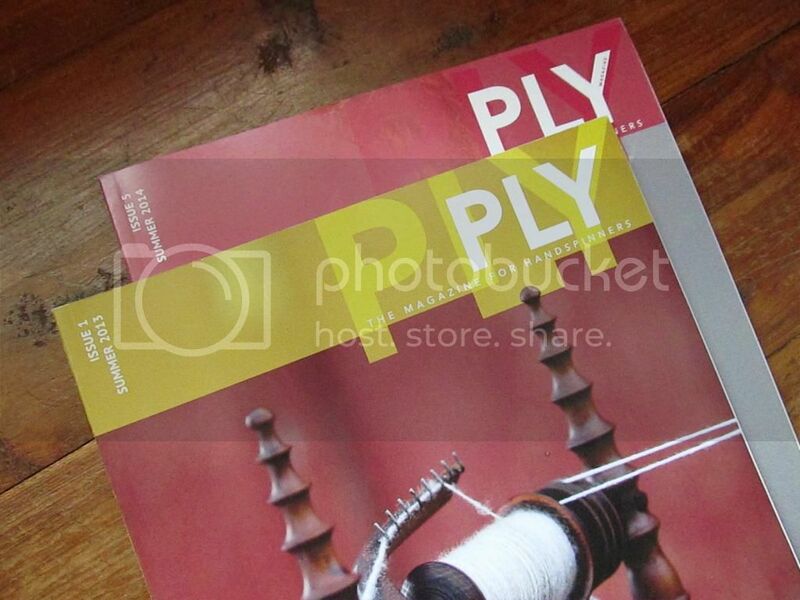 I already had fall knitting plans (I always have knitting plans), but I hadn't given much thought to any fall sewing. My garment sewing this year has been practically non-existent...I've made one Renfrew, another one for a pajama shirt, and a pair of flannel pajama pants. Yes, that's it. It seems that ever since I became so obsessed with knitting and fiber, sewing sort of fell by the wayside. Add that to the fact that I'm not really comfortable with my size and weight right now, so sewing clothes for myself just hasn't been a big priority. But I really do need some new clothes. I've realized that the majority of my good clothes (as in, clothes that I wear out and about...not the old t-shirts and jeans I wear around the house) are ones that I've made myself, which is good. But I wear the same things over and over. Other than two pairs of jeans, I haven't bought any clothes this year, and like I said, I really haven't made any either. 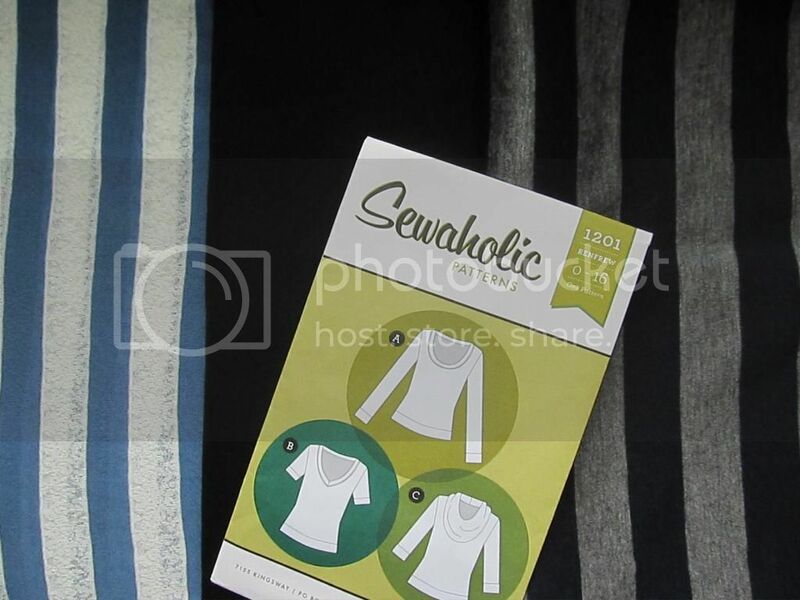 This is for any type of blouse, sweater, etc. The Miette cardigan that I'm currently knitting will fit into this category. I'm hoping to sew at least three Renfrew tops. A short-sleeved one in the blue and lacey striped knit (if this fabric looks familiar, it's because I've used it before with my favorite Renfrew...I love that one so much that now I want to make a short-sleeved version), a black one without the bands to wear with skirts, and a long-sleeved version out of the navy blue and gray striped knit. A couple of years ago I heavily altered Simplicity 2447 into a button-up shirt pattern that I really liked. I need to make a few more changes to improve the fit, but after that I'd like to use the blue polka dots (same fabric I used for my Hawthorn dress) and the blue floral to make a couple of shirts. 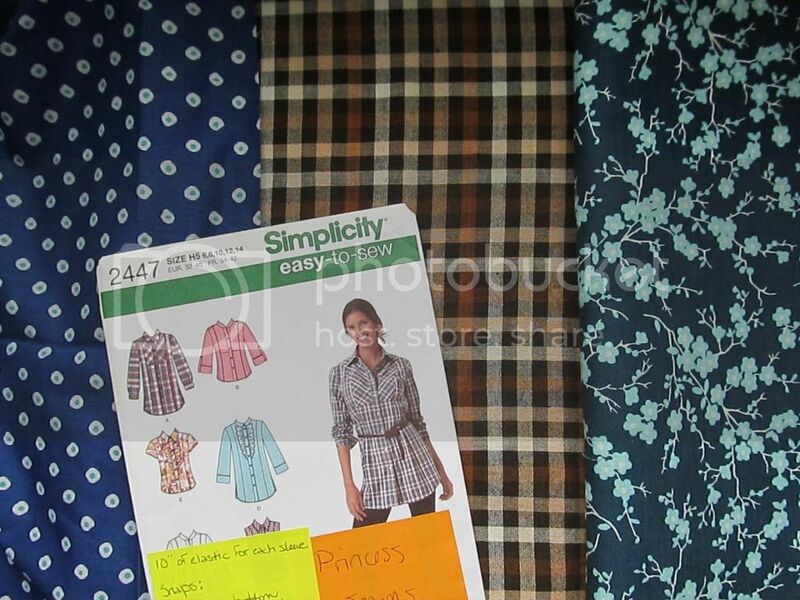 I've had that brown plaid forever and I want to make it into a button-up shirt, too, but I won't be using that pattern because I don't want to have princess seams with the plaid. I'd also like to sew some sort of cozy flannel shirt, but I don't have any definite ideas for that yet. I bought this lightweight denim last year to make another Hawthorn, but I'm not so sure anymore. I love the idea of the Hawthorn dress, but I always feel a little uncomfortable in mine because the neckline feels too big on me. I'm constantly adjusting it, plus the facing in the back won't stay in place. Now that I think about it, though, I messed up a bit with the collar, so maybe that's why I'm having issues. If I do make this, I'm going to try the longer sleeves. 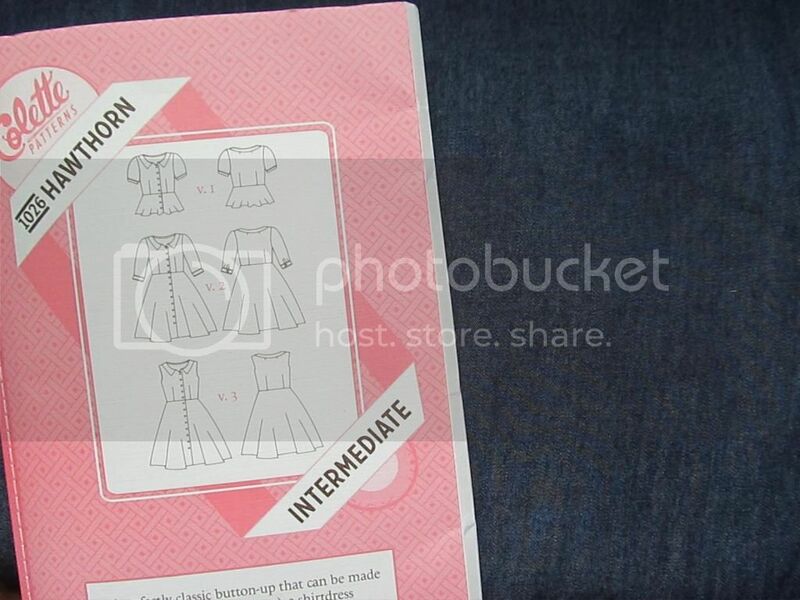 I really want to find a perfect dress pattern. I love the look of dresses but it seems I'm usually more comfortable in skirts and tops...maybe it's just because I haven't found the right pattern yet? Pajamas! Whenever I get store-bought flannel pajamas, they fit me perfectly until they're washed once or twice. Then they shrink up and become 4 or 5 inches too short. At the beginning of this year, I made myself a pair of really long flannel pajama pants, and I wear them all the time when it's cooler. 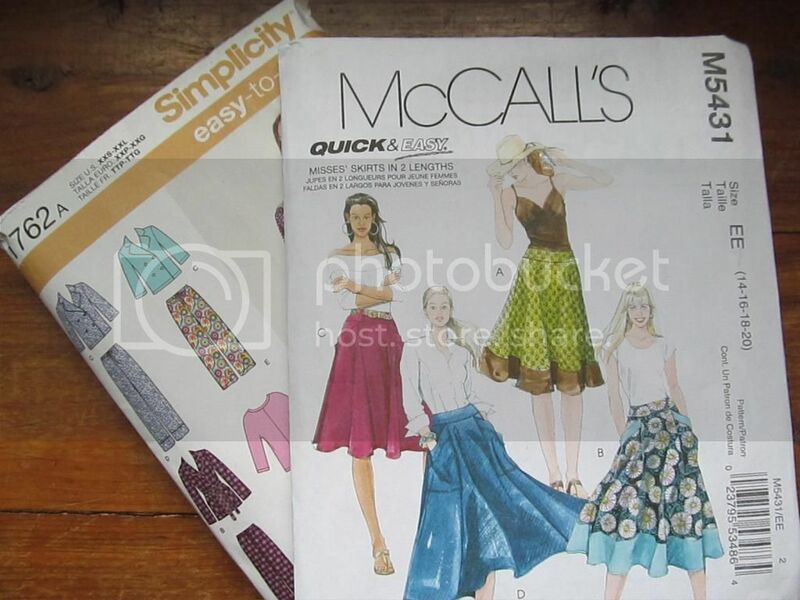 I want to make at least one more pair (from the Simplicity 1762 pattern above, which a few changes), plus at least one Renfrew pajama top. What about you? What are you hoping to make this fall? 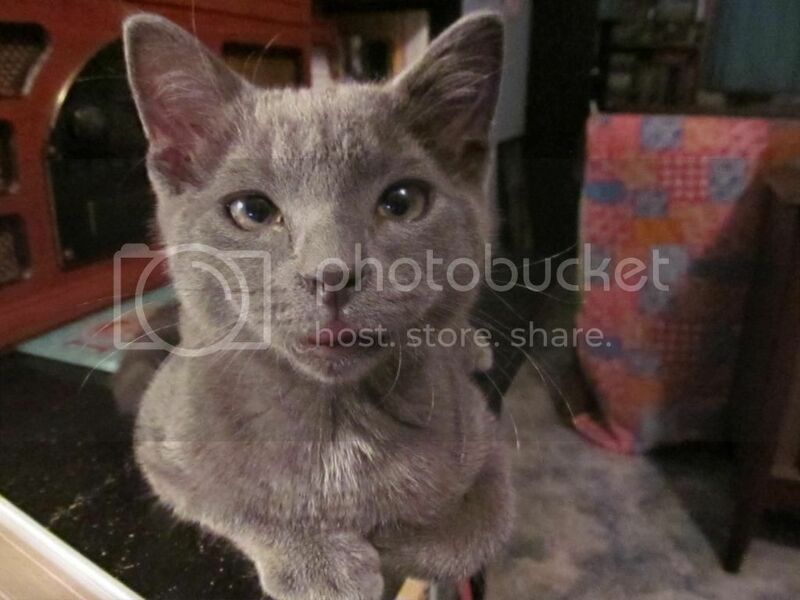 So...we have a new kitten. Several weeks ago, my mom and sister-in-law heard a noise coming from the motor of Mom's car. When they looked inside, they found this kitten. (The skin on his chin was pulled down a bit, as you can kind of see in the first picture, but other than that he was fine.) After asking around if anyone was missing a kitten or wanted one, we realized we'd be keeping him. His name is Knightley. Yes, that Knightley. (He showed up the day after "If I loved you less, I might be able to talk about it more," on Emma Approved, so it seemed fitting because my head was full of Emma and Alex.) I didn't want to sound too much like Mrs. Elton, but adding the "Mr." is just a little too pretentious for such a tiny kitten. So Knightley it is. 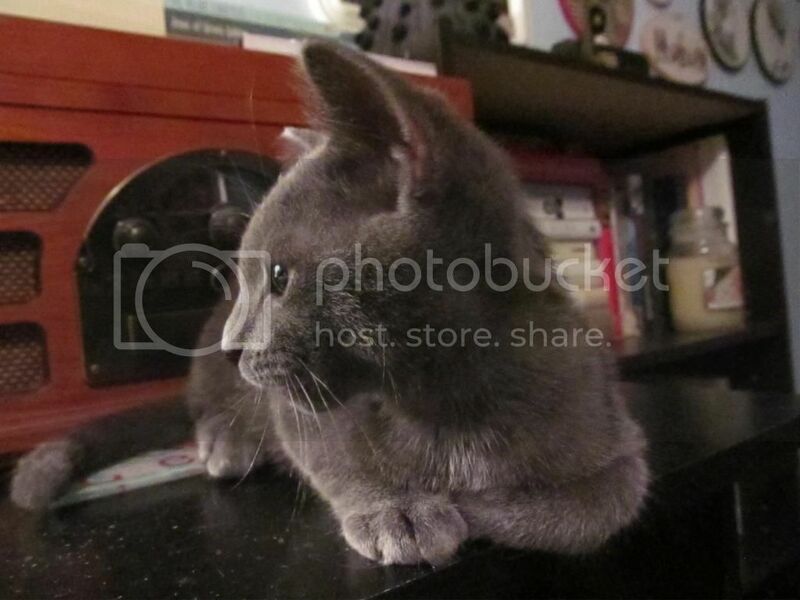 This is the first time I've ever had a kitten (and been able to choose a name for a cat!). My parents got my childhood cat, Annie, before I was born. Our other two cats came to us in random ways when they were a bit older. (Jack was my grandma's cat and we took him after she died...Ollie was left behind with us after my brother moved out.) I don't think I was prepared for how incredibly adorable and mischievous kittens can be! Knightley can be curled up in my lap sleeping soundly one minute, and the next minute he's tipping over my trashcan or trying to eat tissues. - Stumbled across a knitter and designer named Linnéa. Her projects are so pretty, and I love the colors she uses! Her style is how I'd ideally like to dress: lots of sweaters and cardigans over dresses in floral prints and autumn-ish colors. And handknit socks over tights...that look is suddenly so appealing to me! Why don't I do that? (Probably because, if I'm wearing tights, I'm generally going to church and wearing church shoes rather than boots.) She also has a blog that shows off her lovely style and photography! - This yarn is basically the perfect shade of green. I'm picky about green yarn...it's usually too dark or too lime or neon. 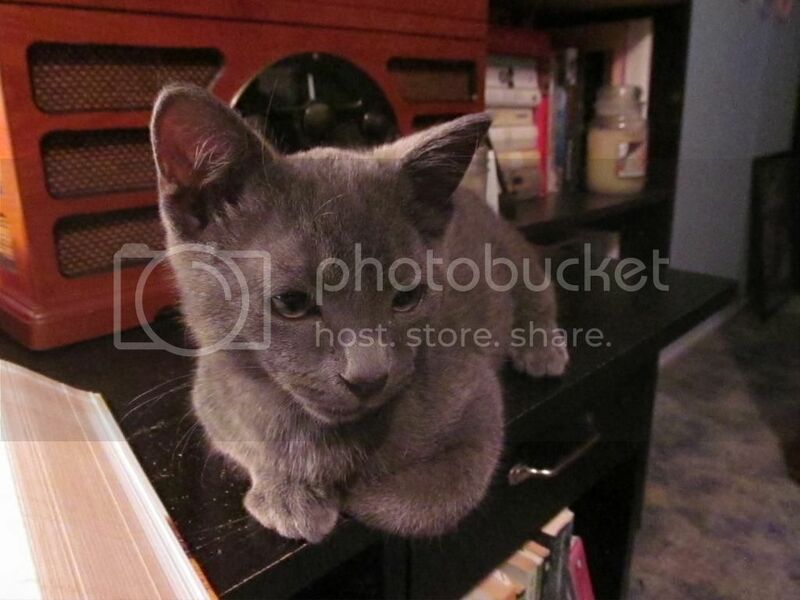 But this one is perfect! From that same company, I also love this colorway. 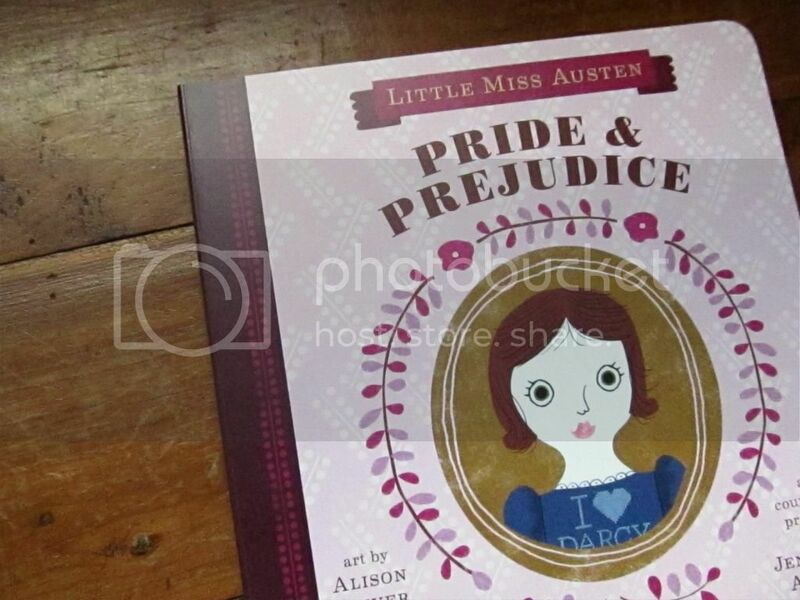 - I am so smitten with the Pride and Prejudice board book shown above. I came across it in Target and couldn't resist. The colors and illustrations are ridiculously adorable! 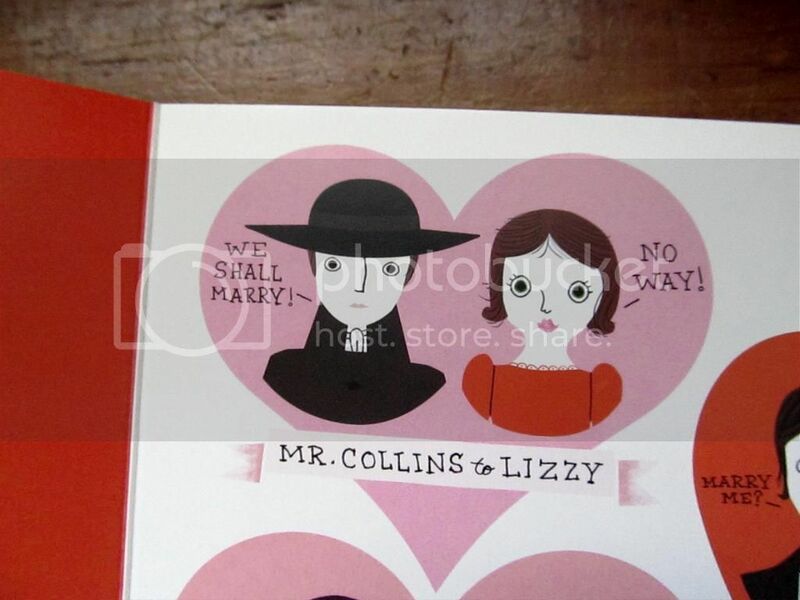 The proposals page really makes me smile, especially the Mr. Collins and Lizzy one. 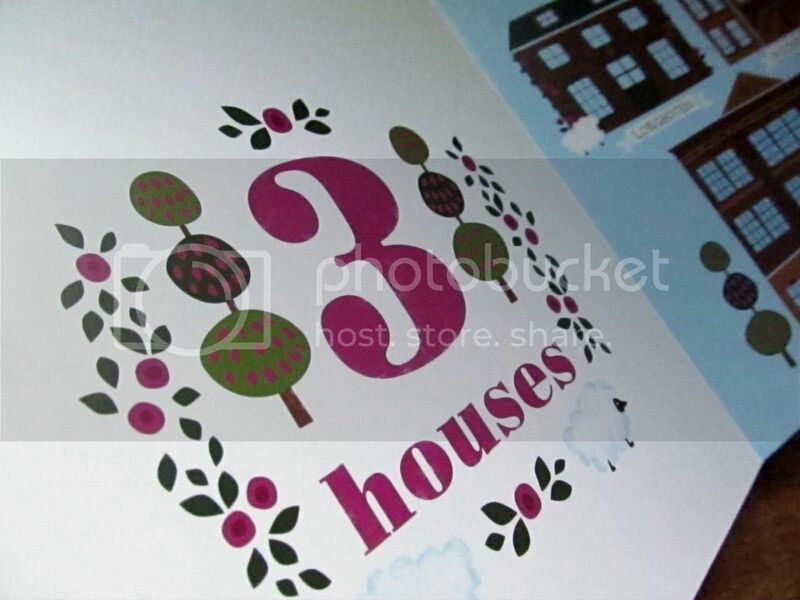 :) It's a counting book, so there's not much of the actual story there, but I doubt you'll buy this book unless you're an Austen fan, anyway. The bookworm in me just loves the idea of introducing my favorite characters to my future children when they're still babies (though, let's be honest here, I mostly bought this book for me). I even saved nearly $4 by matching it with the Amazon price. - Speaking of books, I'm a big Boy Meets World fan, so of course I was excited to hear that Danielle Fishel (aka Topanga) has a book coming out! Better yet, it looks like it'll be a funny memoir about awkwardness, which is something I can definitely relate to. I know it won't be all about BMW, but I'm hoping there will be some stories about the show in there. The book comes out on Tuesday! I'm even more excited about Cary Elwes' memoir about the making of The Princess Bride, which comes out next month. I'm really in the mood for memoirs and biographies lately, though I haven't been able to read any since I'm still in the middle of my Harry Potter reread. - I'm glad that one of my favorite bloggers, Amanda over at Hey Porkchop, is posting again after a summer hiatus. The best word I can think of to describe her blog is cozy. It's like perpetual autumn over there, and I love it! She's so inspiring with all of her knitting and quilting and cross stitching, and her pictures are gorgeous, too. - I had been eyeing Quaere Fibre's Doctor Who inspired yarns for the longest time, but they were always a bit too expensive for me. I just happened to be browsing Etsy on Monday when I realized that the shop was having a Labor Day sale: everything 20% off! Of course I took advantage of that, and managed to get some spinning fiber, too. 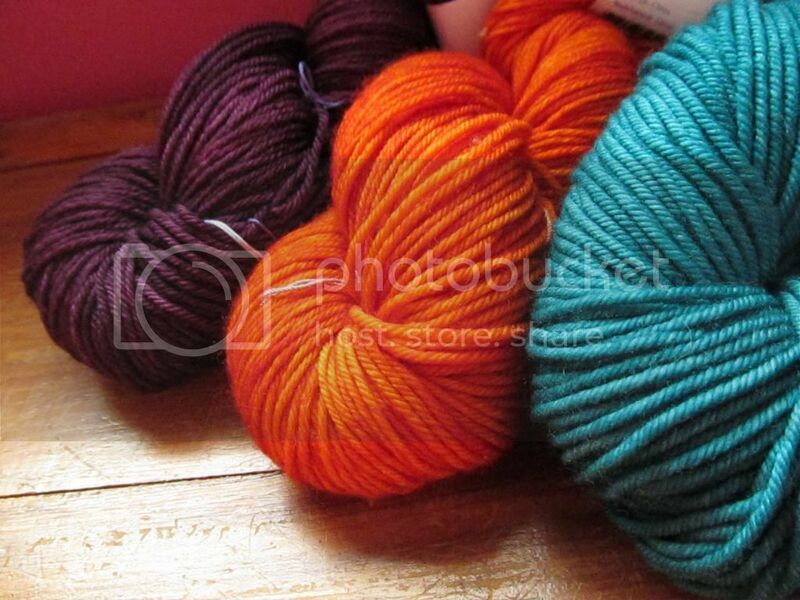 :) There were only three DW yarns in stock then, so I went with the merino/silk singles yarn. I wouldn't use singles for socks, but it will be perfect for another Hitchhiker! I love blue yarn anyway, and this colorway is inspired by one of my favorite DW episodes (Vincent and the Doctor). I can't wait for it to arrive. So...mostly yarn stuff. I'm sorry if you're not into that. :) Over the past month or so, I've been so busy knitting things for the craft fair I'm attending next month that I've hardly done any knitting for myself. I've squeezed in a bit of time for my Miette cardigan, and I finished the body of it yesterday (yay for the quickness of cropped cardigans!). But mostly it's been knitting hats and baby bows and things not-for-me, which I'll admit is tough for this selfish knitter. :) I keep seeing all of these wonderful patterns I want to try, and every once in a while I go through my yarn stash to look at it and pet it. Just to remind myself that in a few weeks I'll be able to knit what I want to knit. Harry Potter and the Prisoner of Azkaban, by J.K. Rowling. 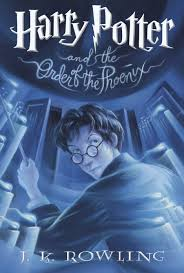 Continuing my reread of the Harry Potter series this summer! I absolutely love this book. It was my favorite of the series for a long time. You can read my thoughts on the book and the film here. Harry Potter and the Goblet of Fire, by J.K. Rowling. This one was also my favorite for quite a while! I still haven't finished writing my book/film review for the blog yet, but it should be up soon. Jane, the Fox, and Me, by Fanny Britt. I absolutely loved this graphic novel and gushed about it here. The Truth About Forever, by Sarah Dessen. I'll be the first to admit that YA contemporary is not my thing, but I'm constantly hearing good things about Sarah Dessen. And now I've finally read one of her books! In some ways it was exactly what I expected, but in other ways it was more than I expected. I did have a few qualms (I covered those in my review, which you can read by clicking on the book title), but overall I enjoyed it. P.S. If you enjoy bookish posts like this one, stayed tuned...I finally filmed a little bookshelf tour of sorts that I hope to post soon!